Citrus Australia continues to foster its key relationships with Japan. This included participating in the Australian Prime Minister’s Business Delegation visit in April 2014 resulting in the historical signing of a Free Trade Agreement. 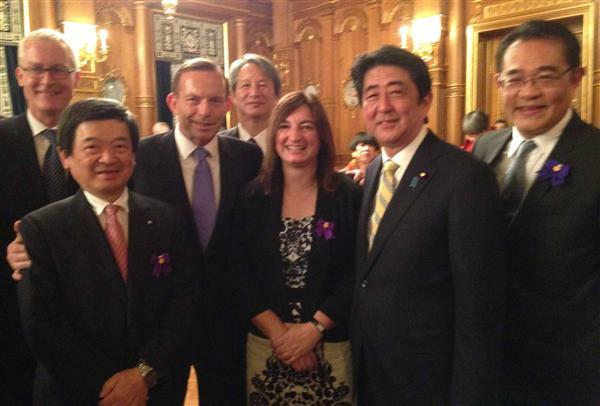 Pictured above is Citrus Australia CEO Judith Damiani with Prime Minister Tony Abbott and Japanese Prime Minister Shinzo Abe. 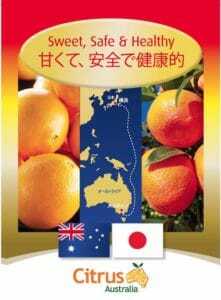 We are pleased to provide the following documents to interested Japanese buyers of Australian citrus.